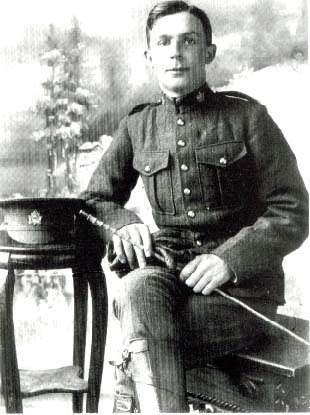 My uncle Alg Purchase, of Winnipeg, went to France with the University of Manitoba Batallion, and transferred to the new Royal Naval Flying Service, flying blimps on anti- submarine patrols of the British Coast. The SSZ or "Zero" blimp shown here had an aluminum and ash car, with three cockpit openings, which enable it to (theoretically) land on water, if required. 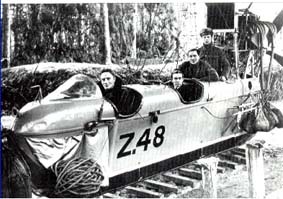 Powered with a 75 hp Rolls Royce water- cooled engine, it cruised at 53 mph, and climbed at 1,200 feet per minute. It carried a machine gun- used for exploding mines- two 110- pound bombs, or one 250- pound one. Here is the crew's car being attached to the blimp. The pipe shown in the top photo is a scoop in the propeller's slipstream to keep the envelope inflated. Below the crew poses, my uncle Al Purchase standing aft. Algernon Purchase of Manitoba's University Btn. All of 20 years, and ready for overses service! 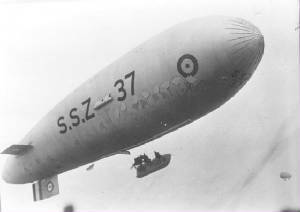 The SSZ 37 had a forced landing on the Mumbles, near Swansea, August 18th, 1918, was deflated but the crew uninjured. 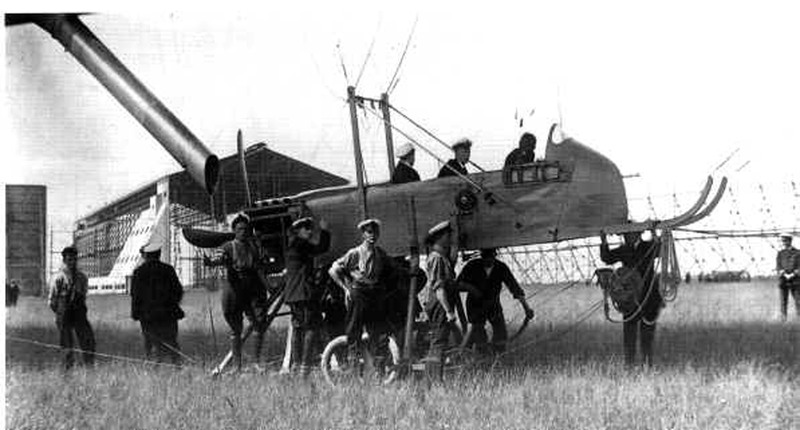 In November, the SSZ 37 took part in towing tests behind a destroyer before being deflated in January 1919, and deleted in October of that year.